Scott was born Anthony Scott Flippen. Desperate to seek freedom from a strict religious life, he sneaked out of his home in the dead of night. He went to a friend's house and stayed for a month before returning home. When punished as a child, Scott would be forced to copy the Bible. Later, he tried to impress his dad by attending Lee University in Tennessee. He was caught smoking marijuana and was expelled. Stapp then moved to Tallahassee because Jon Morrison (of _The Doors) had once attended school there. Stapp reconnected ties with his old friend, Mark Tremonti, jamming on a guitar. In 1995, they formed a band with drummer Scott Phillips and bassist Brian Marshall. Their original name was "Naked Toddler", they however changed it to Creed, at the suggestion of Brian Marshall. In September 2000, Marshall left Creed. Creed's highest selling album is "Human Clay" and is certified diamond by the RIAA. Creed officially folded on June 4, 2004. 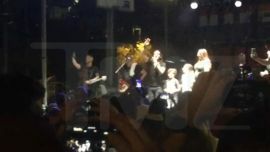 The other members of the band reunited and formed a new band, "Alter Bridge". 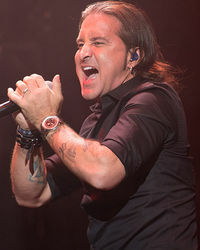 Stapp cites The Doors, particularly Jim Morrison, as one of his principal musical influences, and performed with the surviving members of the band for a televised concert in 1999. After this, Stapp also performed with the band, again, on "Stoned Immaculate: The Music of the Doors" tribute album. 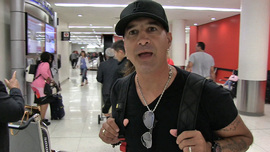 Stapp lives in Miami with wife, Jaclyn Stapp. After leaving Creed, Scott pursued a solo career and his first album, "The Great Divide", was released in 2005. 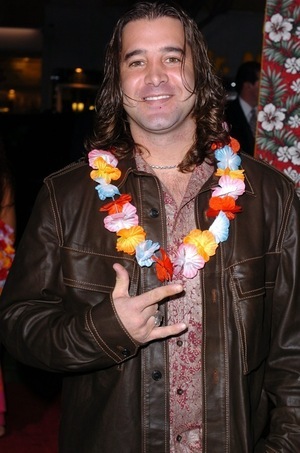 Prior to this, Stapp contributed a song to the "The Passion of the Christ: Songs" album. 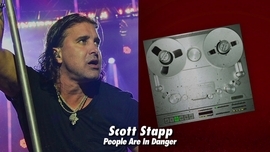 In December of 2008, Stapp met with Mark Tremonti at the Hard Rock Hotel in Florida and a reconciliation took place. They soon got together with drummer Scott Phillips and bassist Brian Marshall, where they all agreed to put past differences aside and reunite as Creed. After months of speculation, on April 27, 2009, Creed officially confirmed their reunion on their website. A new album and US tour was announced. The tour runs from Aug. 6 - Oct. 14, 2009. The new album, titled "Full Circle", is set to be released on Oct. 27, 2009. Austin, What Say You: ... BOY OR GIRL?!? !